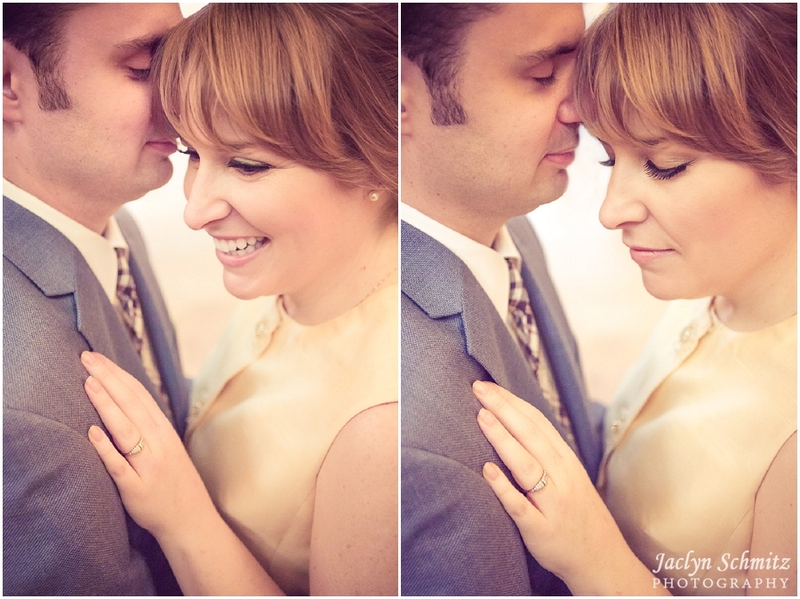 Jenny and Daniel met while working at a university. They connected over a common love: books! 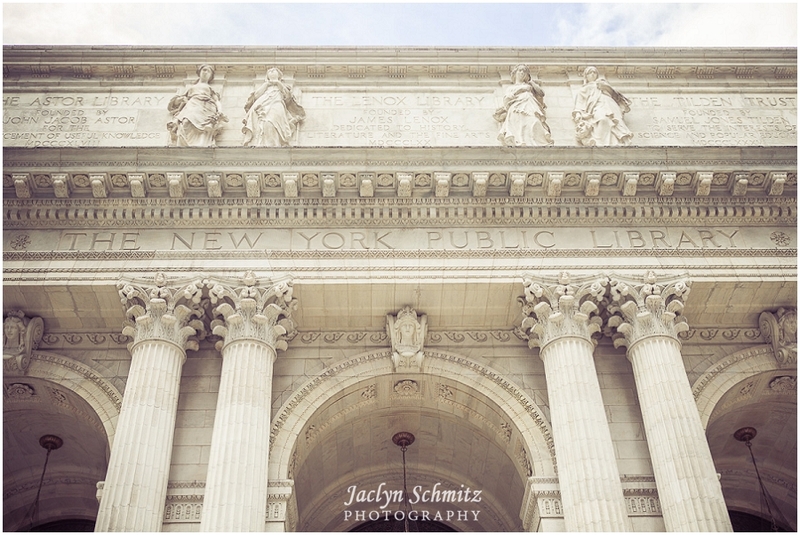 So of course the New York Public Library had to be a backdrop for their engagement session. Jenny’s gold dress, jewelry, and purse were originally worn by her grandmother–quite a stylish lady! 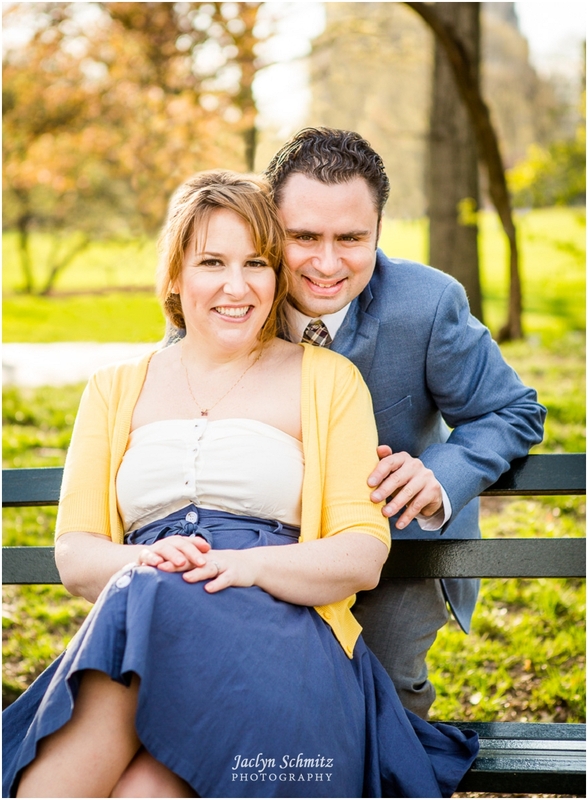 Their outfits coordinated perfectly for this vintage-inspired engagement session. 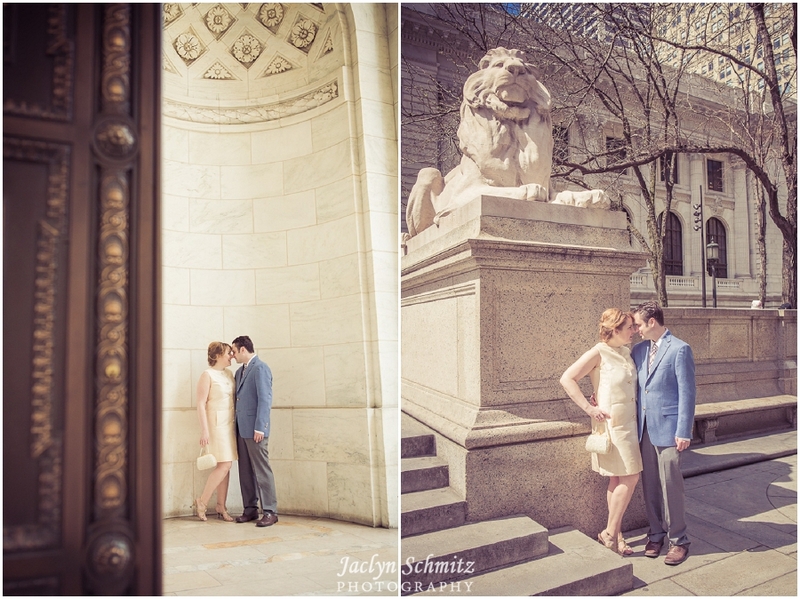 We also visited two other classic NYC destinations: Grand Central Terminal (including some Mad Men-style photos in an ultra-cool bar called the Campbell Apartment, which is hidden in a corner of the station) and Central Park. 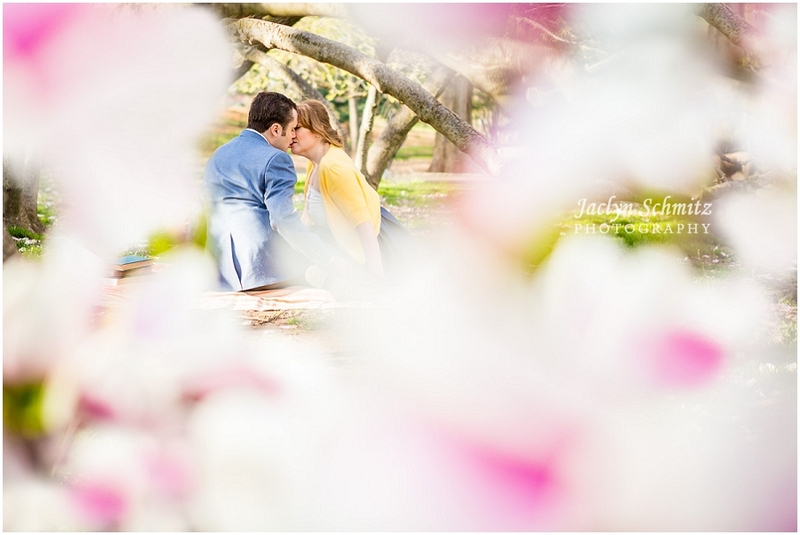 With the thought and details they put into their engagement session, I can’t wait to photograph their wedding in Vermont in June! 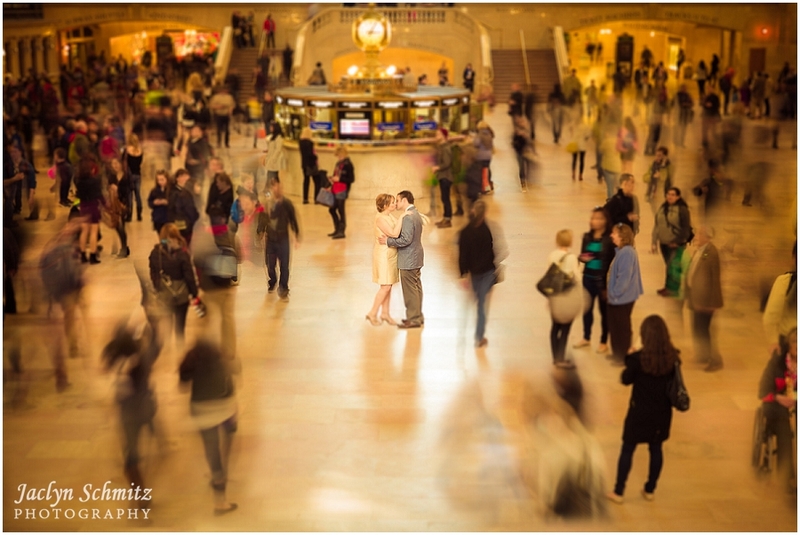 A journalism student saw them kissing in Grand Central and had to have an interview. Her assignment? 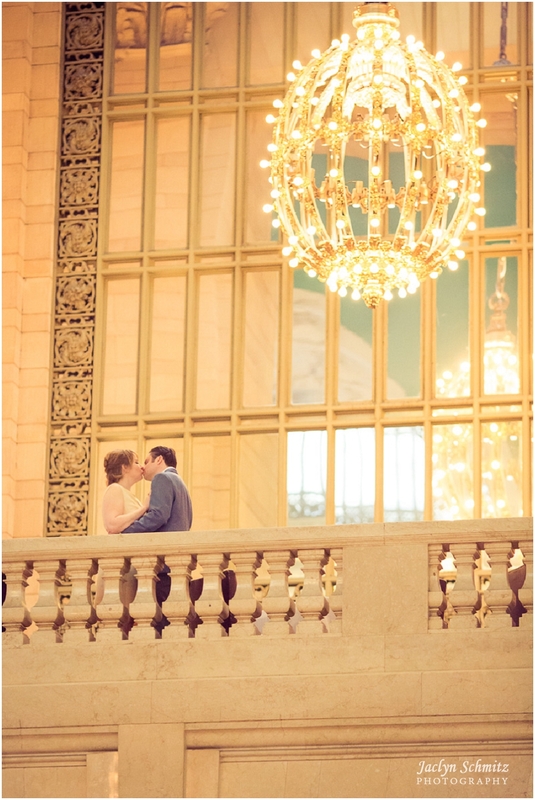 Love at classic romantic places like Grand Central! We took a little break from photos and ordered an appetizer and cocktails at the Campbell Apartment, located in Grand Central Station. 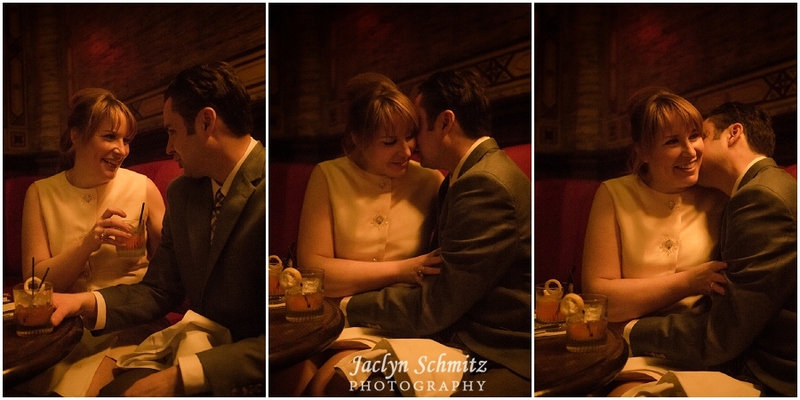 The dark wood, vintage furniture and wall decor, matched perfectly with Jenny and Daniel’s outfits, so we just had to take some “Mad Men-esque” style photos!